Holography, particularly, the artwork hologram is a technique of manufacturing a 3-dimensional (three-D) picture of an object. The hologram is actually a recording of the target such fashions as sculpture, automotive model and so forth, from difference between two beams of coherent light. To create a hologram, there're two beam is used. A laser beam is splitted in two beams: one reference beam which stays undisturbed strikes onto a photographic photoresist. One other object beam strikes the topic(corresponding to sculpture) after which bounces onto the photoresist. The chemical on photoresist doc the data of interference. So when a hologram is illuminated with coherent delicate of the identical frequency(usually, the daylight include that frequency) a third-dimensional picture of the subject appears. 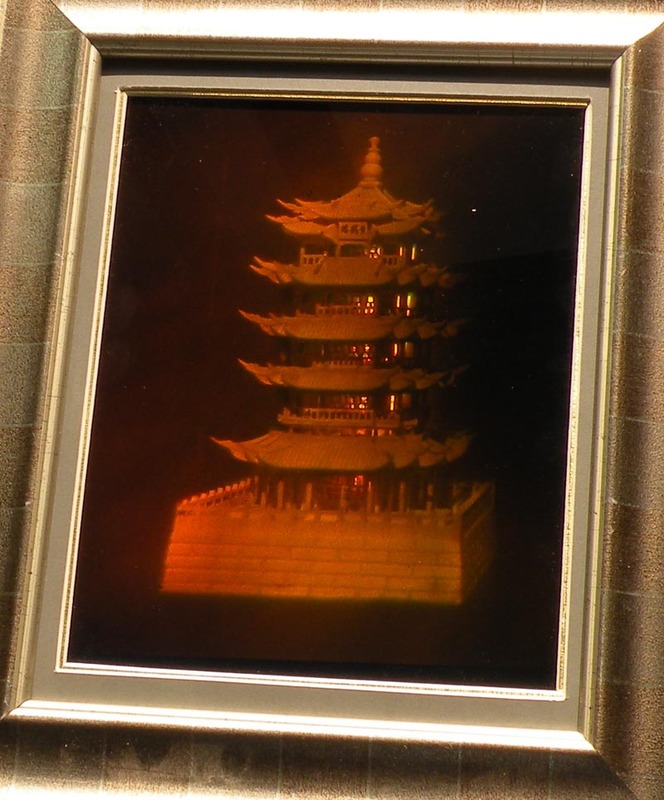 3D holography of a tower. This art hologram has good real 3D hologram effect with wood frame. It's size is 250mm*200mm. . It's different to hologram sticker which is embossed very fast by mass production embossing machine. The art hologram is recorded onto a photographic glass(photoresist) by two laser beam directly. 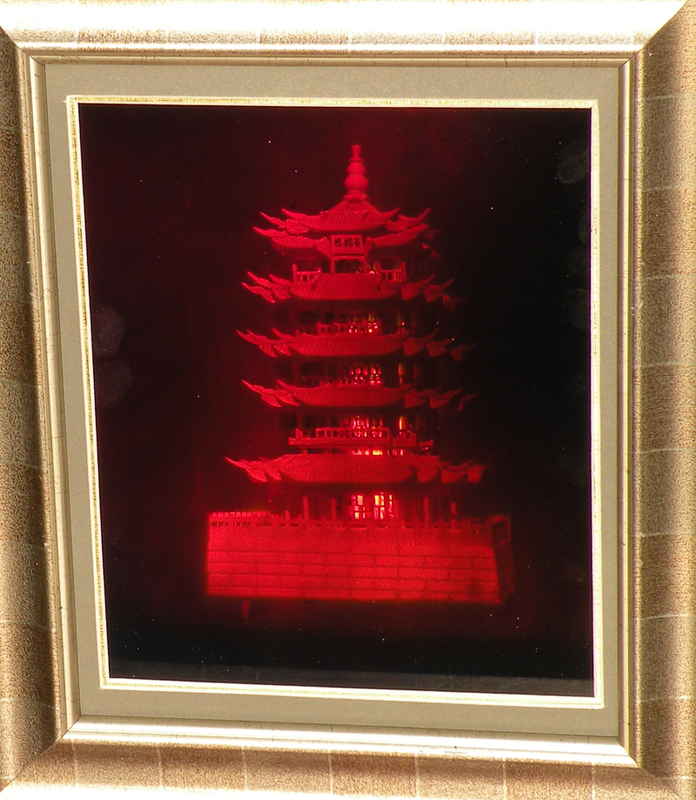 Another viewing angle of tower 3D holography. 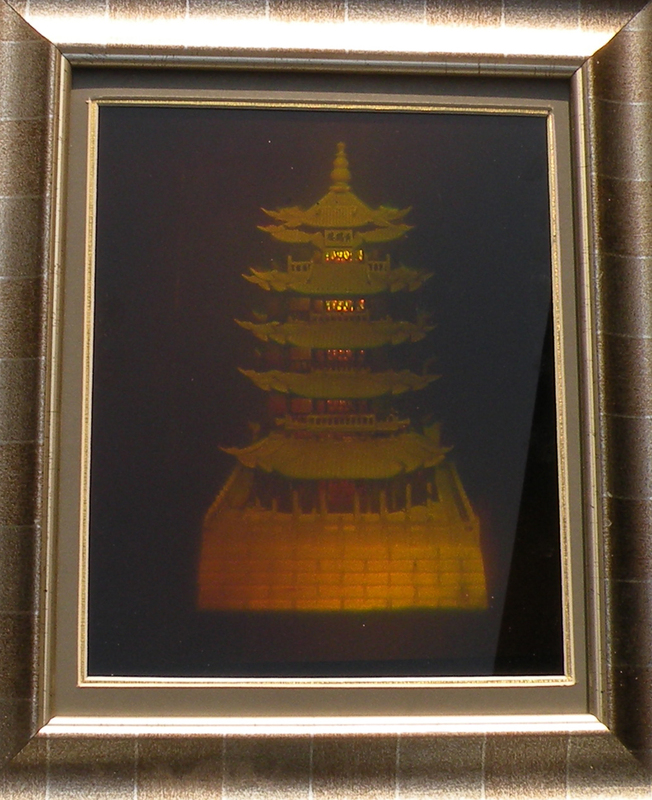 This art hologram has good real 3D hologram effect with wood frame. It's size is 250mm*200mm. . It's different to hologram sticker which is embossed very fast by mass production embossing machine. The art hologram is recorded onto a photographic glass(photoresist) by two laser beam directly. 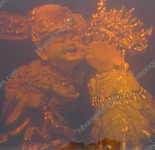 Eye-catching art hologram is recorded on to a photographic glass(photoresist). It displays a virtual object reproduces real 3D magic hologram and play a vital role to get the impact and attention you have been seeking. 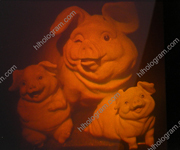 High artistic value 3D art holography can produce spectacular displays for educational, medical, scientific, artistic and commercial purposes. 3D holography tower. 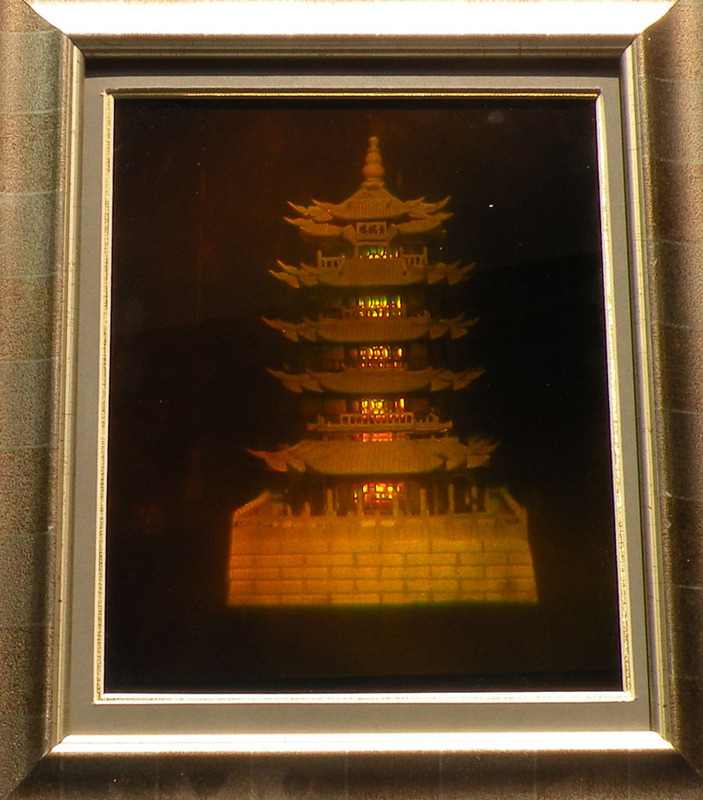 This artwork hologram has good real 3D hologram impact with wooden frame. It is measurement is 250mm*200mm. . It's completely different to hologram sticker which is embossed very fast by mass manufacturing embossing machine. 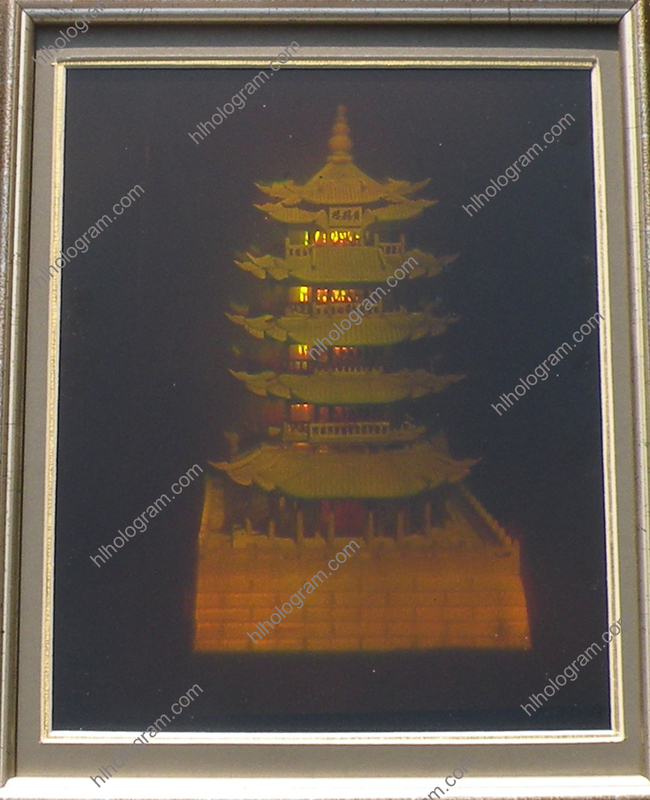 The artwork hologram is recorded onto a photographic glass(photoresist) by two laser beam directly. 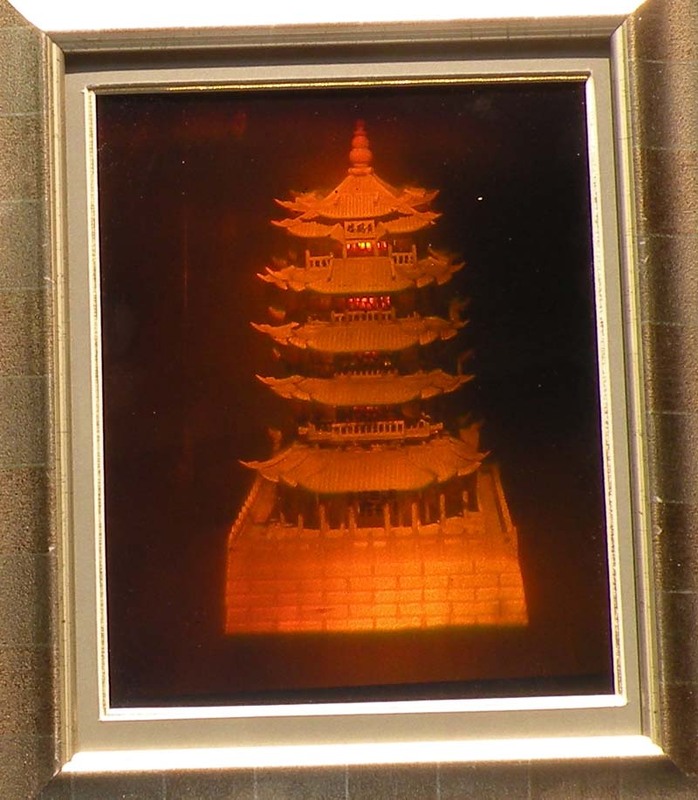 Eye-catching artwork hologram is recorded on to a photographic glass(photoresist). It shows a virtual object reproduces real 3D magic hologram and play a vital function to get the impression and a focus you've gotten been seeking. 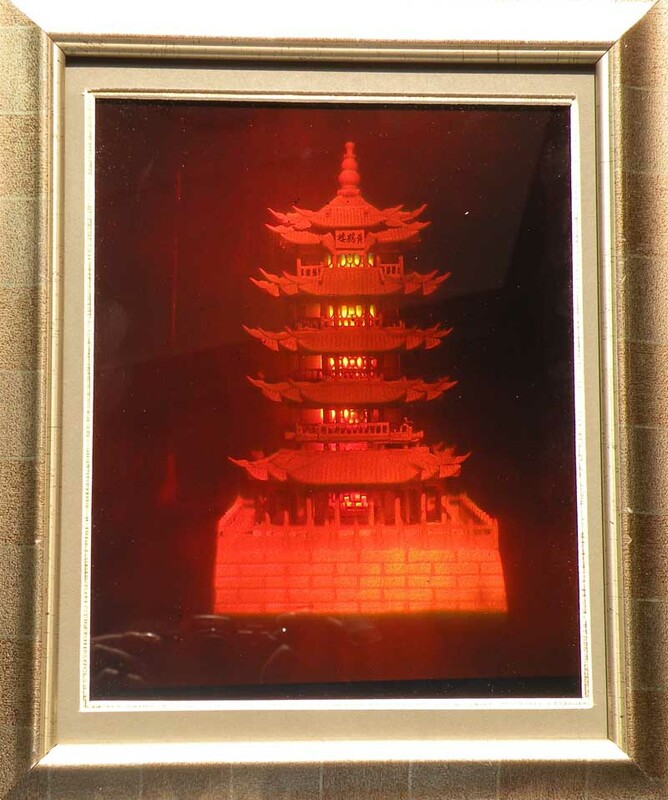 Excessive inventive worth 3D art holography can produce spectacular shows for academic, medical, scientific, artistic and business purposes.